JASPER -- A candidate for Perry County Sheriff has been arrested, again, on felony charges Tuesday in Jasper. David Templin of Tell City allegedly cut off a court – ordered GPS monitor yesterday and made his way to Jasper. Police were able to track his phone to monitor his movement but they didn’t know where he was going. That forced police to take precautionary measures, ensuring an officer was near each local school until he could be tracked down. Templin was located near the highway garage on SR 162 and arrested.Police say he had a handgun in the waist band of his pants and two riffles and ammo in his vehicle. Templin is running for Sheriff as an independent out in Perry County, despite his current set of legal troubles. 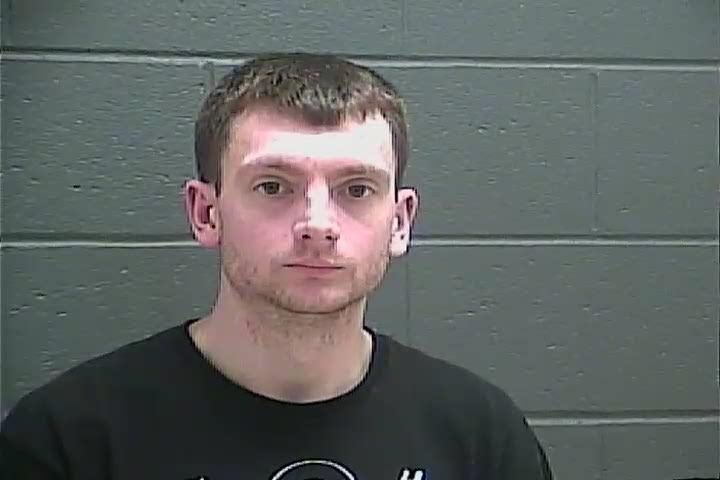 Just last month police arrested Templin on charges of impersonating a public safety official.He now faces new charges of Escape, Impersonating Law Enforcement, Resisting Law Enforcement, Unlawful Use of a Police Radio, and Obstructing Medical Personnel. Police were on alert for Templin.They say he’s made threats to officers before and was known to carry weapons. School officials tell me students were never in danger and the police presence outside during the incident was simply precautionary.